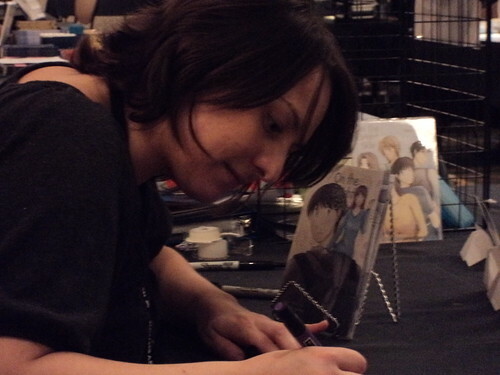 I got approved for a table at the artist alley at Interventioncon with Dana again this year :3. 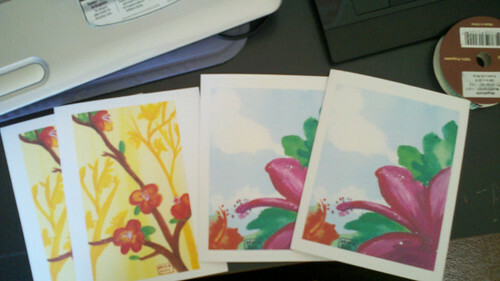 So new prints and old prints and Greeting cards!! 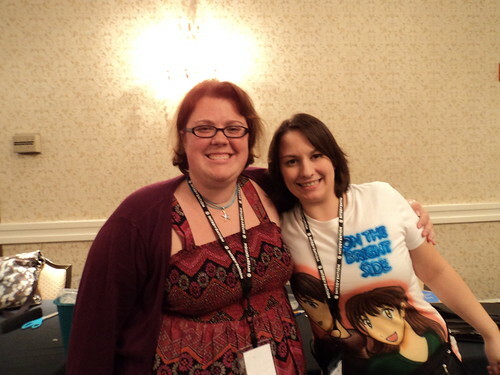 So a few weeks back I attend Interventioncon with Dana as a artist in the Artist Alley. 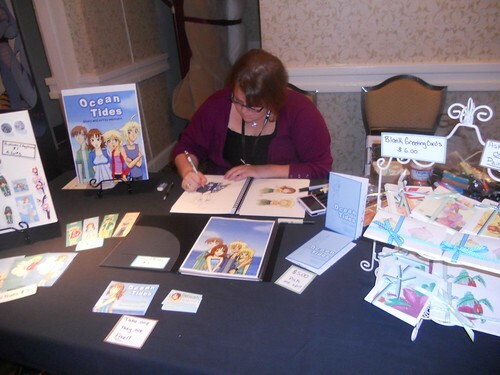 It was a lot of fun, and I am so happy people stopped by and took my card as well as a promo card for Ocean Tides. I was worried seeing I ran out of Promo cards on Saturday and was writing up some, but people seem to take the written ones over the ones I printed out. Friday was a quiet day but when Saturday hit, we had people at our tables either looking, asking questions or talking to us. 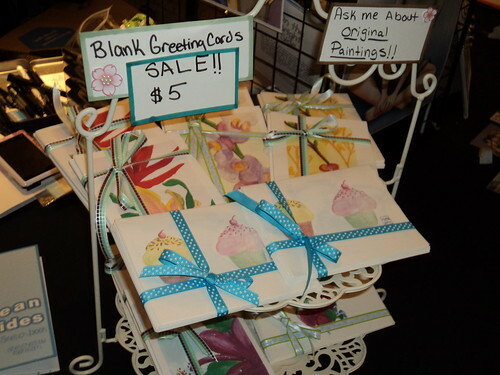 I sold my greeting cards which made me happy, I also sold 3(4×6) prints of Hoku and Lily. Everyone in the artist alley were very nice, we talked a few times to the other fellow artists around us. 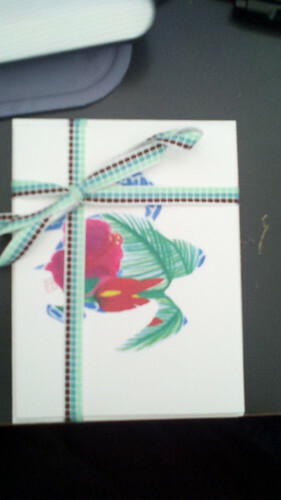 :3 I traded one of my Turtle collage blank greeting cards with Jessie from Geeks Next Door for a comic. Again thank you for all those who stopped by our tables :3. 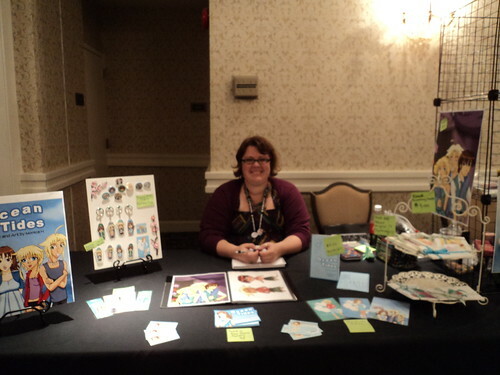 I had a lot of fun talking to people about my comic and selling greeting cards. 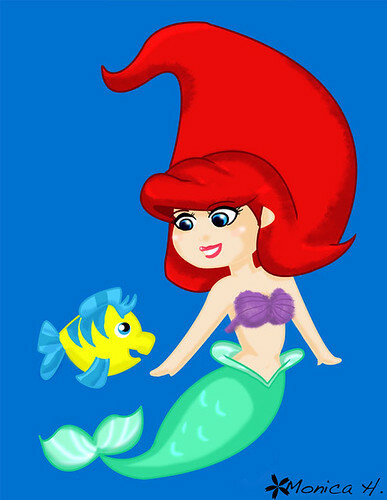 I started drawing and doodling more, here is fan art of my favorite Disney Princesses, Cinderella is coming up next. 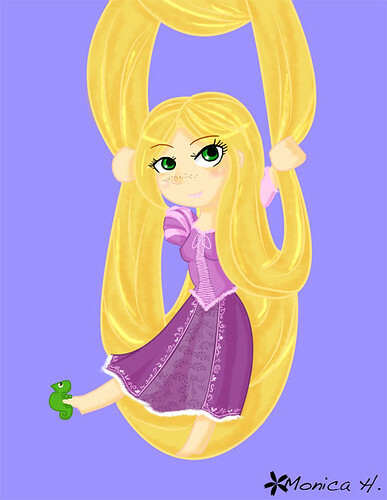 I love how the detail in Rapunzel’s dress came out. I also was trying out a new technique with texture brushes. I am at Interventioncon this weekend. Thank you for those that stopped by and picked up my card :3. 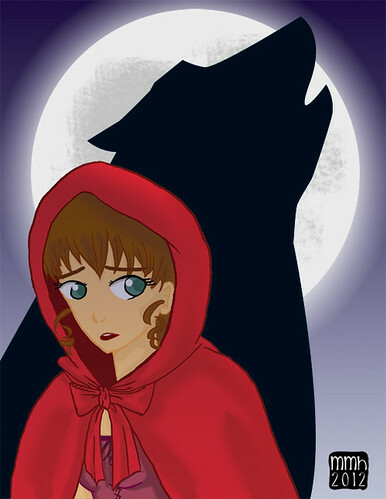 You made me very happy and I hope I will not let you down with my comic or my artwork. I will have a update on the con later tonight or tomorow, but right now I finishing packing up and about to head over to the convention. Hope to see you there. I’ve been keeping very busy with work, drawing Ocean Tides related stuff and creating blank greeting cards using my paintings. I’ve added this on my Tumblr but I wanted to show you guys on here as well. 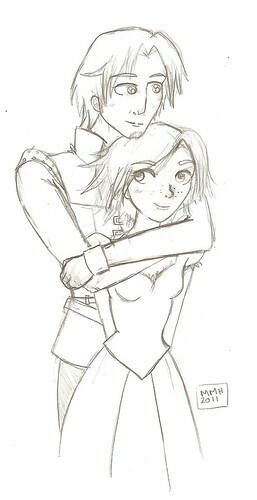 :3 I have some closer up images of them. I plan on making many sets. Each collection is tied nicely with a ribbon. Sets of these will be sold at Intervention Con in September. Once I figure out how to sell things online, I may try selling these. I will keep you posted. I am very excited in how these came out. My mom has been wanting to take them all. I did set aside a set just for her. 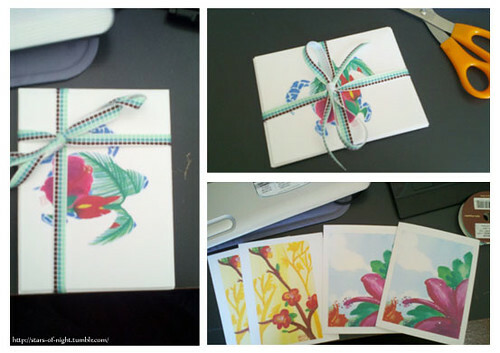 I also am helping out my friend Tara with her portfolio site. Speaking of which, I am currently redoing mine as well. Just have to get the graphic down that I want. 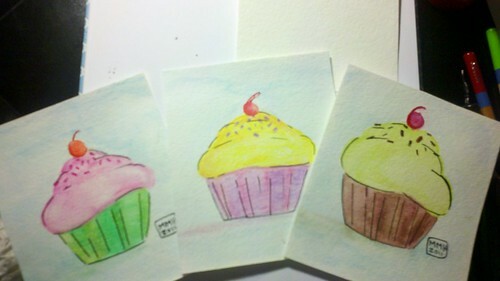 Check out my cupcake paintings, I plan on framing them and placing them in my room. 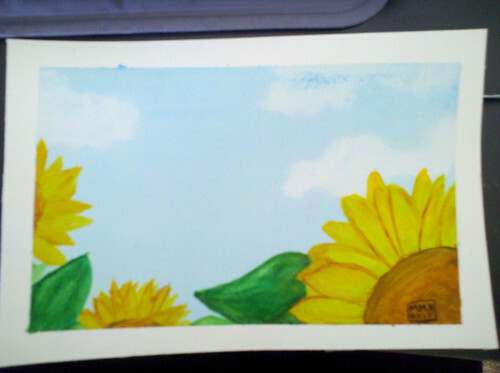 I’ve also came up with a few new paintings, I will have to put up here later. So How is everyone summer? Mine is going well, Less than 3 months left before Intervention Con. I plan on this weekend to work on some more prints. I head to the beach in 3 weeks, and I am going to Hershey Park in 2 weeks :3 with Tara and Marie. Dana came to visit me for our birthday bash weekend. 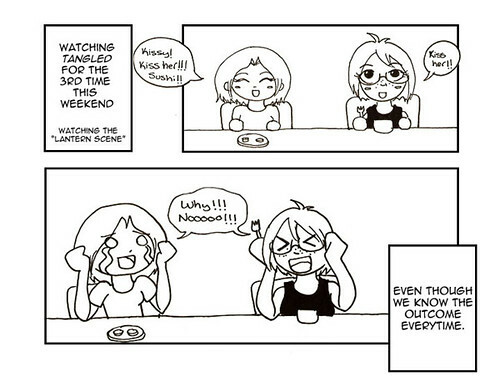 We watched Tangled (3 times :3) Its an adorable movie and you should watch it. Every time we saw them about to kiss or had a chance we yell kiss her!! Yes we also had sushi and ice cream cake. Best Weekend Ever! Speaking of Tangled here is a sketch I did :3 hehehe I needs to be inked and colored, maybe this weekend I can color it along with the Prints I want to get done for Intervention con. I also got a tumblr…I plan on using it for finished Paintings and just random sketches?? Welcome to Stars of Night my Blog on Wordpress. My name is Monica. 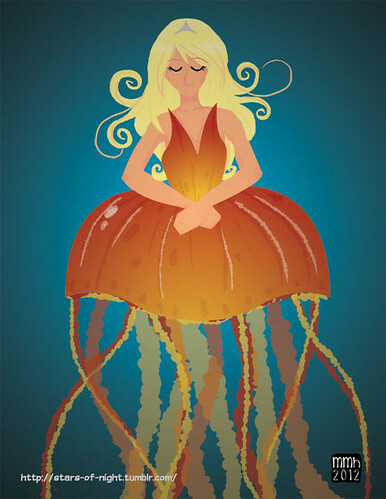 I majored in Graphic Design with a minor in Illustration from Marywood University. This blog where I can place my sketches from notes or from my sketch book. Please Enjoy.